Make Your Own Act of Green: make a pledge to take personal action for the planet! End Plastic Pollution: pledge to reduce your use of plastic! Access resources to organize an event or host a teach-in! Earth Day Tips: read through tips on how to go green, protect the earth, and make every day earth day! Meatless Mondays: reduce your footprint by eating less meat! Try out meatless Mondays! 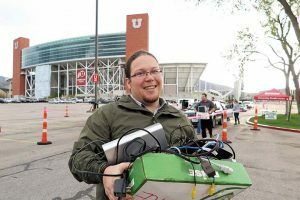 Bring your electronic waste and old personal documents to the University of Utah for U Recycle Day, an annual event for responsibly recycling. Participants are also invited to donate non-perishable food items, which will be given to the on-campus Feed U food pantry. 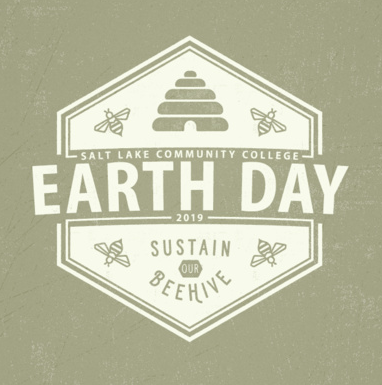 Student Leaders in Civic Engagement from the Thayne Center is inviting SLCC student, faculty and staff to come get involved in an Earth Day Celebration on April 22, 2019 at 10am-4pm! This is an opportunity to get involved with community partners, engage in activities on campus and gain knowledge about sustainability practices! 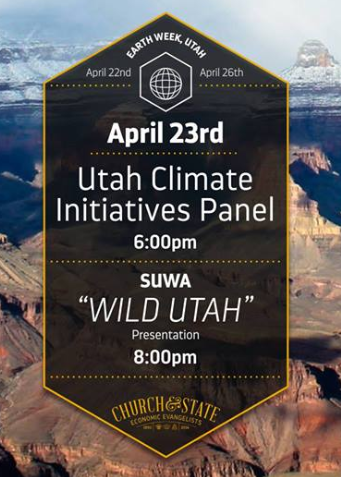 Join Tracy Aviary at the Utah Cultural Celebration Center (1355 West 3100 South) for a FREE event celebrating our local habitats, particularly the Jordan River! 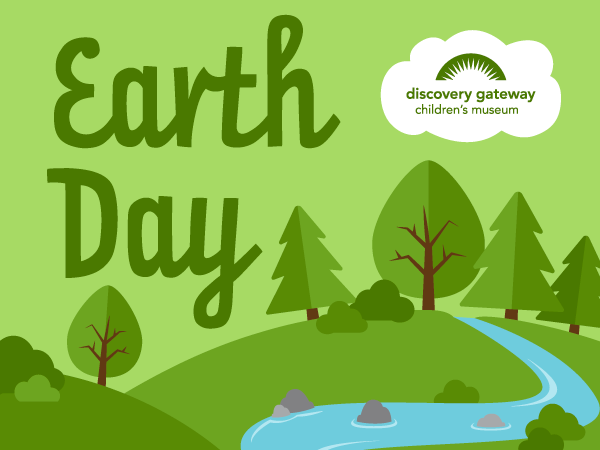 With food trucks and kid-friendly Earth Day activities from our partner organizations, there’s something for everyone. We’ll even have free books and binoculars for kids, while supplies last, thanks to KUED! It’s Earth Day! 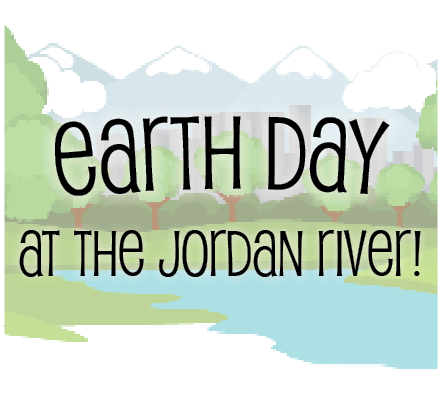 Celebrate our beautiful planet while learning about the importance of protecting and caring for our Earth! Make your own bird feeder while learning about the effect of climate change on birds, create egg carton bees and discuss the importance of recycling and planting flowers to help bees, and then add to our papier-mâché globe that will be displayed in our museum! 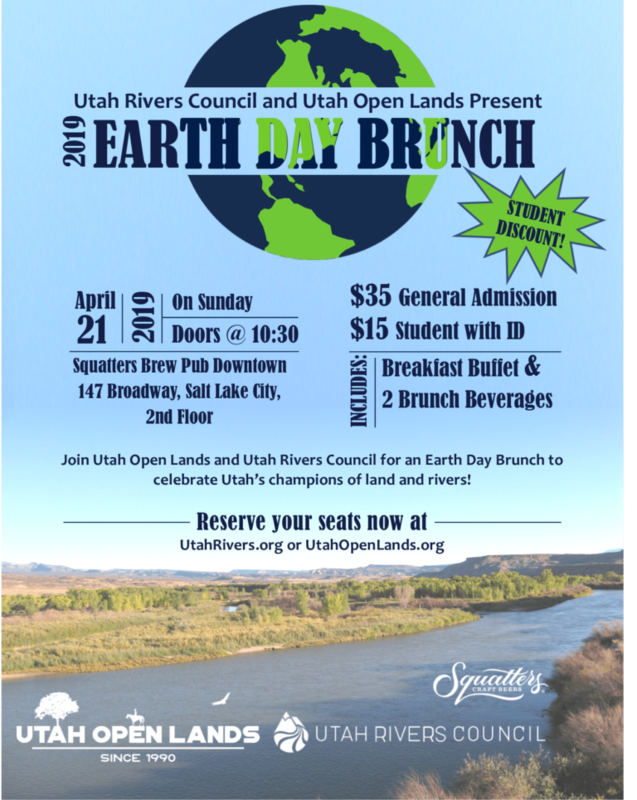 Join Utah Open Lands and Utah Rivers Council for an Earth Day Brunch to celebrate Utah’s champions of land and rivers! Join us at the EcoCenter for an evening of fun-filled, earth-loving activities! From 3:30 to 7:30 p.m. we will be partnering with other local non-profits to provide an exciting assortment of activities like upcycled art, family preserve hikes, wildlife conservation booths, and so much more. 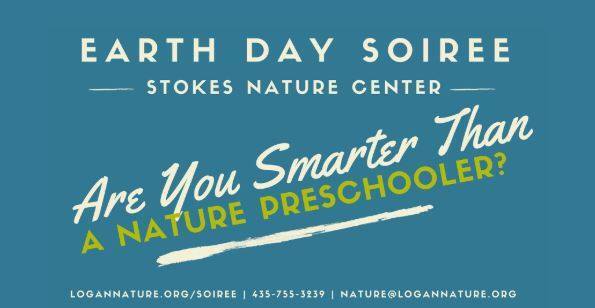 Celebrate Mother Earth and show your support for Stokes Nature Center by joining us for our 9th Annual Earth Day Soiree! April 20th, Herm’s Inn 6pm-9pm | tickets are $45 in advance and $55 on the day of the event. Test your nature knowledge and compete in “Are You Smarter than a Nature Preschooler?” trivia for fun prizes and a good time. Delicious food and good company make this a fun and casual event you’ll look forward to every year! 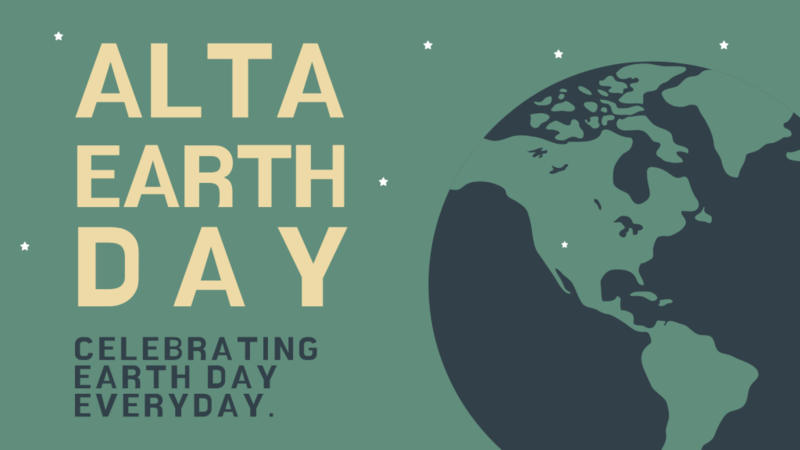 Celebrate Earth Day by getting your hands dirty with a little volunteer work. 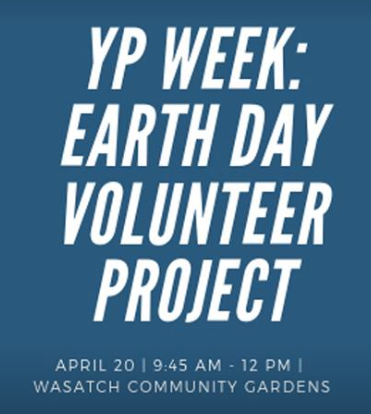 Young professionals from various backgrounds will gather to volunteer our time and kick-off Salt Lake City’s inaugral #ypweek. Volunteers should come prepared with a water bottle, sunscreen, hat, and clothes you’re ok getting some soil on. We’re giving Mother Earth a little love! Do you know how to recycle? Do you know what is garbage and what can be reused? Learn the fun way though game sand crafts all in honor of our planet. Connect with nature and conservation in your community. 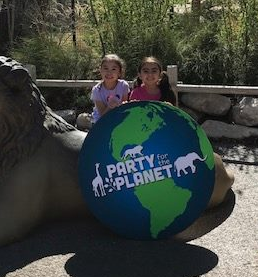 Party for the Planet festivities feature environmental education activities, amazing animal encounters and fantastic family fun. Learn what Hogle Zoo is doing to help the planet, from recyclable plates in our concessions areas to solar panels on top of our elephant building, also learn what you can do at home too! 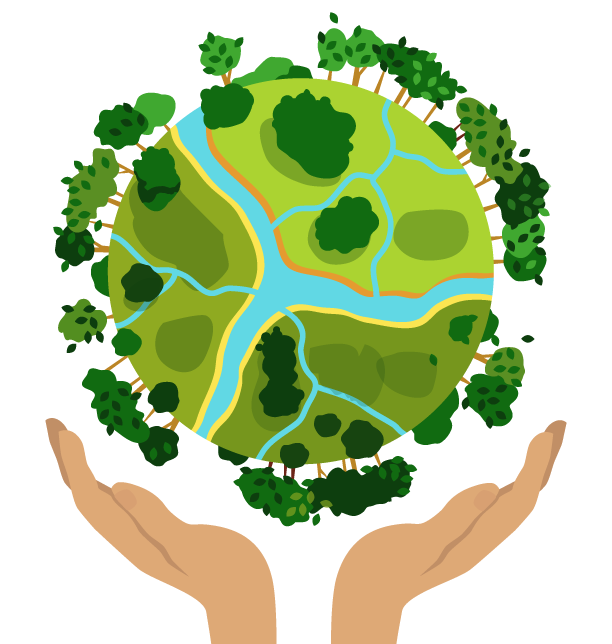 “Green minded” organizations will be on grounds to let you know what they are doing to keep our Earth beautiful. Think locally to make a difference globally.